The overall length of an 8" f/9 scope is really a non-issue when it comes to observing. In the 30+ years I've been observing with many different size dobsonians, I don't recall one instance of observing with any scope pointed directly at zenith. Seeing as how it's being marketed as a "planetary" scope ... and the planets, moon and sun are located along the ecliptic ... I don't see where it's length would be a problem. Unless you were a 5 year old! Oh I hate this topic at this point but its hard to not to state my finds and others really. In closing Im not claiming an 8" over a 12" view but like the refractor enthusiast it has a look and function about it I don't find tolerable in other designs quickened into short tubes. Aperture is the reigning king here and even in mediocrity to say nothing of excellence it handedly performs. In amongst like sized aperture though its very satisfying to use the long focus system. I suppose the upshot of my argument and its regrettable these things veer into that inevitably, is that an optimized system of small central obstruction and lesser coma can't be waved off with so much corrected smoothness and a brand name. Because the whole of astronomy for amateurs has its majority into deepsky rather than lunar and planetary its no surprise that long focus newts are a niche. Its sad though when a few (not you Jon) scoff at the merits as some erasable factor smoothed over with an opticians name. OK - that's it for me on this . I think no one is scoffing at the idea that a focal ratio larger than f/5 can improve some on planetary views. I will join in the scoff, however, that anyone can see a contrast difference between 8" f/9 and f/8. The two scopes very well might use the same sized secondary. A far greater difference will likely be seen between a very smooth high 90s strehl and an average mid 80s strehl mirror likely to come with this scope. It has nothing to do with an "optician's name". Zambuto is often mentioned, but Cloudy Nights Mark Harry (and a number of others) puts out consistent high strehl smooth mirrors that will noticeably put up sharper views than the typical 1/4 wave GSO/Synta. Myself, if I was looking for an optimized planetary newt and was willing to use a step latter, I'd pick a 12" f/6 over an 8" f/9. Of course this doesn't take money in to consideration. I realize that is often a consideration for many/most. Yeah, I don't know. I have a hard time calling anything without an EQ mount a planet scope. Sure, you can observe planets with a Dob and I have done it numerous times, but the Dob is a general purpose scope, not a "pro planet" model. You would be able to use pretty long EPs, so keeping up with right ascension should not be any worse than an f/6 Dob, but no better either. And there is the rigidity issue. A dob is not a general purpose scope its a mount that facilitates unusually large optics in a way that makes it portable like no true equatorial mount can. Even in medium aperture it makes for a light compact stable platform. Any vibration issues are the hallmark of a poor mount in any design not the fault of the instrument itself. However there are those who seem to find that the proximity of the mirror to the ground and other thermal effects point to the equatorially mounted Newtonian as being superior. As far as stability, as the owner of a strut dob, I do wonder about the stability of this design. Struts are not inherently as stiff as trusses or tubes, there could be some vibration issues here. Thermally, a planetary scope ought to be a tube scope anyway. On another note, I did notice they are using the low Profile GSO focuser. Hopefully they quit using those, the design is flawed, the bearings are not far enough from the pinion and the drawtube can tilt. Not so likely with a planetary eyepiece but it's faulty design. If i were to go with a 8" F/9 it would be EQ mounted, i have yet to use a long focus Dob that had smooth motions. Has anyone ever observed through the 12" f/17 Porter Turret Telescope at Stellafane? I've had this pleasure ... for very limited viewing ... during the Stellafane conventions in the past. I remember one year the scope was pointed at the Dumbbell Nebula (M27). I was very impressed at how dark the sky background was and the large number of tiny stars that were visible across the nebula. Needless to say, that view through the 12" f/17 scope really "redefined what I thought was possible with a 12" aperture." Oh don't get me wrong - an equatorial mount is the preferred way to go hands down. As you know the the sheer monstrosity of some of them would be prohibitive. That the focuser is tilted like that is a little alarming actually. To be honest, I think they'll have a hard time selling a slow 8" at $1k when they also sell a 12" f/5 for the same price. Pete: Just to be clear, the focuser is not normally tilted but it can tilt under load, I am pushing on it to tilt it with my hand. As I said, a planetary eyepiece is unlikely to tilt it though I can't be sure about it. A 20mm Type 2 Nagler with a Paracorr, that's a different story.. It's just a bad design, the pinion shaft is too close to one of the bearings. The best way to deal with possible thermal effects from the ground is to NOT set up on asphalt or concrete, and to cover the area under and immediately surrounding the scope with an indoor/outdoor carpet. I have a couple of those which I throw on the ground before I set up the scope. The carpet is deep black. The major problems with Newts on a GEM are ergonomic. The focuser and finder can get in very uncomfortable positions. Turning rings can be devised and mounted on the OTA, but they are a bother. For me personally, the less futzing around with the mount the better. Just get a Dob mount, with tracking if possible, and set it up on a carpet. You know what Mike, Im seriously considering a space blanketi have with an outdoor carpet spread over it. Itll get raggy after a while but its gotta help. I got my carpets from a bargain store called Ollie's near where I live. Both together cost about $30. They have a plastic bottom, and short tight knap carpet on top. Placed side by side with a slight overlap, I think they're about 5' x 6', maybe more. These things are solid, stay put and will last. Another observer tried a tarp. But it's best to stay away from anything that is thin, light and won't stay put. What advantage would a space blanket under an outdoor carpet have to just an outdoor carpet by itself? It would be good to do a field test to compare. I like the concept but, I too think f8 would have been a better choice simply because the eyepiece height is more comfortable. I would also be more interested if it had a solid or split tube. I would rather have a 10"f6.5 for planets or even my 12"f5. It is a cool and affordable scope but, I wouldn't buy it for reasons mentioned and discovery's customer service has already made me change my mind about buying something from them once before. Too many bad service complaints for me. Once these complaints are few and far between, I may change my opinion of that company. I have read far more positive comments in the last year though. I've heard it said that the best 6" f/8 is an 8" f/6, and the best 8" f/6 is a 10" f/5. In general, and up to a point, larger aperture will show you more surface detail than will a larger f number. I agree Mike. There's points to be made in and out of the examples you give but I understand your point. I think the f/ratio of a longer scope can match or beat a slightly larger fast scope but that's the extent of it. I'm extolling the virtues of a long system but not at the challenge of larger aperture which would seem to be the interpretation of my comments. I would never consider a long medium to out do a fast large, ie; 12" or more. Even a C11 is superior here and despite a large CO. My experience centers on the 10" fast newt as inferior on planetary contrast but superior on high frequency res like doubles of equal magnitude for example. Jon Isaacs makes sound points about larger aperture despite faster f/ratios being preferable and beyond the 10" bracket I agree. Within its medium aperture neighborhood however the long focus has its turf held . And the post that kicked off this thread was an 8" f/9 afterall and query of eyepieces. I'm a firm believer in aperture ruling and even dwarfing issues of coma and such in the face of gains made through higher resolution and the fine fortune big aperture having small COs . Again with in its aperture 'hood its strong in its advantages. Hey Mike - Im still waiting for the 150mm Saturn shoot out with C6 versus iOptron! Maybe this can happen in the coming months? I'm particularly interested as Zi came within a hairs breath of buying that particular Mak. A field test comparo would be very enlightening! I think the f/ratio of a longer scope can match or beat a slightly larger fast scope but that's the extent of it. Yes, I would agree with that also, as long as the scopes being compared are otherwise equal. Would a 6" f/8 beat a 7" f/5 for planets? Probably. Would a 6" f/8 beat an 8" f/6? Probably not. I've owned a 6" f/8, 8" f/6 and 10" f/5, so I'm drawing from my own experience with those apertures and f numbers. My experience centers on the 10" fast newt as inferior on planetary contrast but superior on high frequency res like doubles of equal magnitude for example. Would an 8" f/9 beat a 10" f/5 for planets? That's a tough call. I think only a very small percentage of observers have ever looked through an 8" f/9 reflector, must less done a comparo with a 10" f/5. An 8" f/9 reflector is a true rara avis, an odd-bird scope. And FWIW, I have a feeling most amateurs in the field would rather deal with a 10" f/5 than a 8" f/9! The OTA would be nearly 6' long. I think, though, that if both scopes were optimized as much as possible, the 10" f/5 would still beat out the 8" f/9, even for planets. The 10" would have a CO% of about 23% or less, essentially as good as it gets. Jon Isaacs makes sound points about larger aperture despite faster f/ratios being preferable and beyond the 10" bracket I agree. Within its medium aperture neighborhood however the long focus has its turf held . And the post that kicked off this thread was an 8" f/9 afterall and query of eyepieces. I would bring that bracket down to include 10". I've seen some surprising detail with my 10" f/5 Dob. If anyone has an 8" f/9 reflector and can travel to Maryland, meet me at my dark site on the Eastern Shore during a night of good seeing. I'd like to make the comparo. Im still waiting for the 150mm Saturn shoot out with C6 versus iOptron! Maybe this can happen in the coming months? I'm particularly interested as Zi came within a hairs breath of buying that particular Mak. A field test comparo would be very enlightening! Maybe soon, maybe soon. I've already set up a spreadsheet of equivalent eyepieces for the comparison. I'd like to limit them to the same type and brand of eyepiece, only at different focal lengths. This methodology should result in the fairest and truest comparison. I really don't trust scope comparos where the eyepieces are of different types, or in which a Barlow is introduced to bump up the magnification for one of the scopes. Just not the same. What could complicate the matter is that I've recently acquired a 6" f/5 Newt OTA. So I might end up comparing the 6" Mak to the 6" SCT, and then the 6" SCT to the 6" Newt. Comparing the Mak to the Newt would be a case of apples and oranges. However, SCT's are supposed to be Jacks of All Trades, so comparing it with each of the other two would be appropriate. I enjoy re-reading all of the old Deep Sky Wonders columns by Walter Scott Houston, he raved about that scope on many occasions. I think the OPT scope looks seriously flawed for all of the reasons posted. Too long lever arm, strut design, excessive FL (as opposed to a more reasonable f/8), wonky GSO low profile focuser. Also, I think the 3 vane curved spider is a misstep. A two-vane single arc in the style of the Protostar spiders would have been a FAR better choice. As it is, while a 3 vane curve will eliminate diffraction spikes, it gives diffraction fuzz to an image roughly equal to a FIVE vane straight spider. A Protostar style curved vane would give slightly less overall diffraction than a 4-vane straight spider and would be a much better choice. Still, I can't argue against the soundness of a long-focus 6" or 8" newtonian as a planetary scope, and a lot of the arguments I've seen in favor of shorter focal ratios or larger apertures don't take all of the factors into account. With planetary performance, aperture only rules up to a point of diminishing returns. Shouldn't the quality of the optics be a far greater factor in resulting image quality than focal length at a given aperture? I've seen Zambuto powered scopes operating at F/3.6 that would smash the idea that long focus = sharper image, better contrast. The quality of the mirror is primary ( pun intended). First of all, let's just jump right out and say that not everybody can afford a Zambuto mirror. Sorry, it's just the truth. APART FROM THAT, however, there are problems with planetary performance with an f/3.6 mirror wholly separate from the cost of affording one with an accurate figure and good polish. 1. Coma. You can't get away from it at f/3.6 without introducing more optics into the lightpath. 2. Central obstruction. At f/3.6 you need a BIG secondary mirror in order to have full field illumination. At that f/ratio, your central obstruction is approaching cassegrain territory and loss of contrast on planets will be DEFINITELY noticeable. 3. Eyepiece selection. Almost ANY eyepiece will give sharp, contrasty views across the entire field in an f/8 scope. This isn't the case at f/3.6. Cost of the entire system goes up because more elaborate eyepiece designs are required. 4. Magnifying. High magnification is pretty critical to detailed planetary observation. Trying to magnify an f/3.6 scope (assuming you have an aperture smaller than 12 inches) is a nightmare compounded by the previous factors restricting eyepiece use. With the amount of lenses required to magnify an image to a desired image scale, light throughput starts to become an issue. 5. Figuring an f/3.6 mirror is a pain. That's why high quality f/3.6 mirrors are so dang expensive. It's FAR easier to accurately figure and polish at f/8 than it is at f/3.6. A superb 8" f/8 mirror with a perfect star test will cost the same as an atrocious 8" f/4 mirror. Take your pick. 6. Collimation errors. At f/3.6, a scope is FAR more sensitive to collimation errors. Tiny amounts of mirror flop or tube flexure that wouldn't even begin to have a practical effect on an f/8 optical system are catastrophic on an f/3.6 optical system. As for aperture, the larger a mirror is, the more difficult it is to accurately figure. I have yet to see a mirror in excess of 18" that doesn't suffer from significantly noticeable aberrations in the star test. Also, unless you want to spring for a zero-expansion material like Sitall, Zerodur or BVC, even a pyrex mirror in large apertures is going to have thermal equilibrium issues that don't go away all night. To be honest, every scope I've looked through in the 14" to 32" range has had planetary views that I would describe as mushy, even on nights of exceptional seeing. 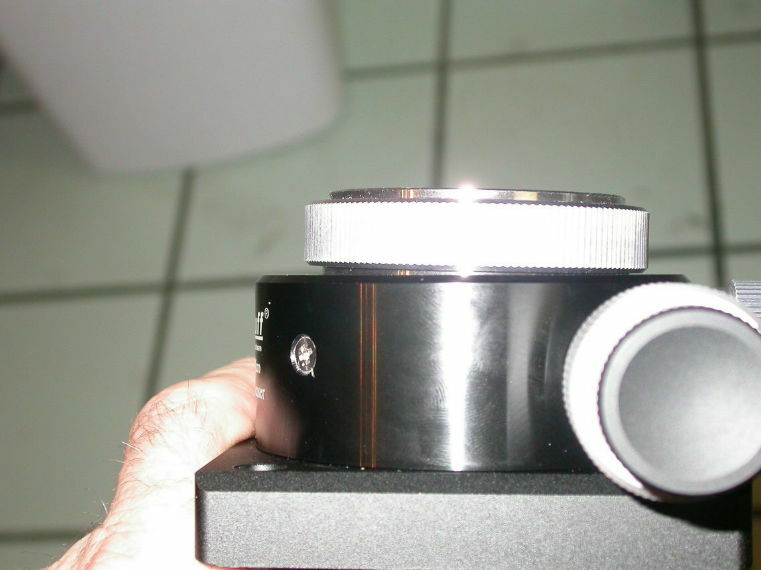 An 8" mirror doesn't have these thermal stability issues that are fundamental to larger apertures. Cool-down is relatively quick as long as you have a pyrex mirror. An 8" plate glass mirror with a fan will also cool down quickly. 8" f/8 newts (provided they have a solid/split tube design) can be staggeringly good planetary scopes. Wholly apart from the materials costs of refractor glass, you're more likely to get a perfectly figured optic than you are with an apo. Refractors have more optical surfaces that have to be accurately figured (4 in a doublet, six in a triplet) whereas a newtonian only has one. At f/8, if using a low-profile focuser, the central obstruction is miniscule and the increase in contrast over a shorter focal length newt can be dramatic. Also, using a single-arc two-vane curved spider like a protostar can go a long way towards minimizing overall diffraction. Also at 8" or less, the flexure inherent in that design is negligible enough not to affect performance. The absolute BEST planetary view I've ever had was through a 6" f/10 with a homemade mirror owned by a member of one of my previous clubs. It was a dobsonian on an equatorial platform. The view was of Jupiter on a night of good seeing. The scope stood up to 480x magnification. I don't know if it could have been pushed farther, but that's only because we didn't have any shorter focal length eyepieces. "To be honest, every scope I've looked through in the 14" to 32" range has had planetary views that I would describe as mushy, even on nights of exceptional seeing." I have hope that someday I'll acquire a 14" Dob that will be an excellent performer for deep sky and planets. I know that will take some work. But more potential is there than going in the direction of smaller aperture and larger f number. Smaller CO% is something but it's not everything. Get around 20% and call it quits. Uncle Rod Mollise once said, "When it comes to planetary viewing, seeing is not the most important thing, it's the only thing." In a thread like this, the first thing I do is look over and see what people live. We are captives of our own experiences so it's no surprise that someone who lives up near the great lakes or in the North East might have quite a different view than someone who lives along the coast in Florida or along the coast here in southern California. When I respond to someone's post, I try to imagine something about their situation and hope to communicate something about my situation..